Montessori Ageing Support Services (MASS), a division of the Montessori Australia Foundation (MAF), is the national peak body for supporting quality of life for older Australians through the Montessori approach.Read more. All older adults and persons with dementia have the right to a caring community that is aligned with the individual’s needs, interests, abilities, skills and strengths for optimal social, emotional, physical and cognitive support. This environment is carefully prepared to meet and nurture the...Read more. MASS provides a range of training and consultancy options to suit all organisations. MASS currently works with organisations around the country to change the lives of older people receiving care services in both the community and residential sectors by creation of Montessori Environments.Read more. 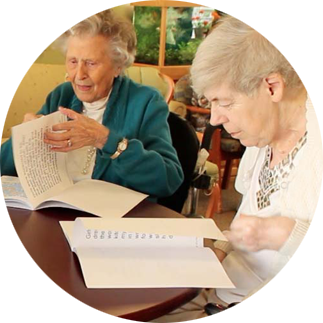 The Montessori Ageing Support Services Quality Assurance Programme (MASSQAP) has been developed to partner with and support all aged care services providing Montessori environments and to engage these services in a process of review, improvement and maintenance to ensure the highest level of...Read more. Many of us are familiar with the term Montessori as it applies to education but fewer are familiar with the application of Montessori for Dementia. However, in a growing number of aged care communities across the country the movement to change the world of people living with dementia by using a...Read more.